Andrew Scheer condemned “anyone who promotes racist ideology” after a Conservative senator questioned whether white supremacy was a significant threat to Canadian communities. “I do believe it’s a threat in Canada because we have seen, tragically, people lose their lives because of people who subscribe to these views,” Scheer said. In a question to Foreign Affairs Minister Chrystia Freeland at the Senate’s Foreign Affairs Committee, Housakos asked Freeland to clarify her position that white supremacy is a significant risk to western democracies. “With all due respect minister, I think that flies in the face of reality over the last two decades. I think over the last two decades western liberal democracies around the world would tell you that the biggest threats we’ve faced are extremist fundamentalism,” Housakos said. “I absolutely do think white supremacists and white supremacists movements are a very real, very grave threat to western liberal democracy. I think they are a grave and real threat here in Canada,” Freeland responded. In question period Wednesday, Prime Minister Justin Trudeau demanded Scheer denounce white supremacy, which the opposition leader had publicly done only hours before in a press conference. But the exchange makes clear that white nationalism and far-right extremism — once a fringe issue in Canada’s political debate — will likely remain front and centre in the lead-up to the 2019 election. In March, Trudeau accused unnamed politicians of exploiting racism for political gain. In a statement on Twitter Wednesday, Scheer shot back. “Racism and white supremacy are threats in Canada and I condemn them unequivocally,” Scheer’s statement read. An aide for Housakos declined the Star’s request for an interview Wednesday afternoon, pointing to the senator’s comments on Twitter. “No western, democratic politician condones extremism of any kind, including white supremacy,” he wrote Wednesday after Freeland released a video of their exchange. Comments from Conservative Senator Leo Housakos. Bit ironic, coming from a government that has practiced ethnic community outreach and messaging to an art. 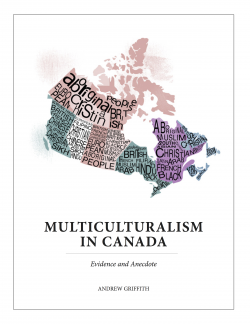 Multiculturalism’s an outdated insult – The Globe and Mail.